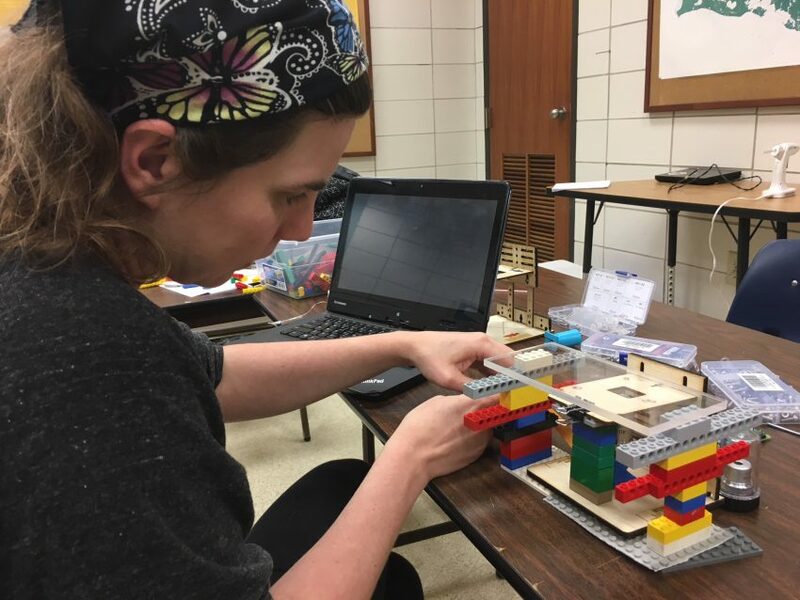 What Happened in the Bayou With @Publiclab #citizenscience #RaspberryPi #Arduino #science #DIY « Adafruit Industries – Makers, hackers, artists, designers and engineers! 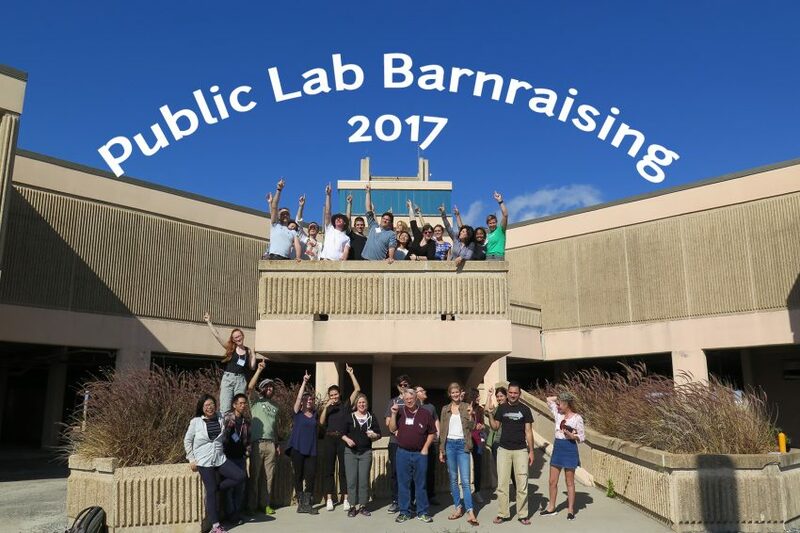 Public Lab just held their big Barnraising event at a marine consortium (LUMCON) in Louisiana and I was there. Located at the tip of the state, the location charms you with its mysterious bayou—tall grasses, herons gawking, shrimp jumping and flat land swallowed by clouds. The location also houses a facility complete with a fleet of research vessels. 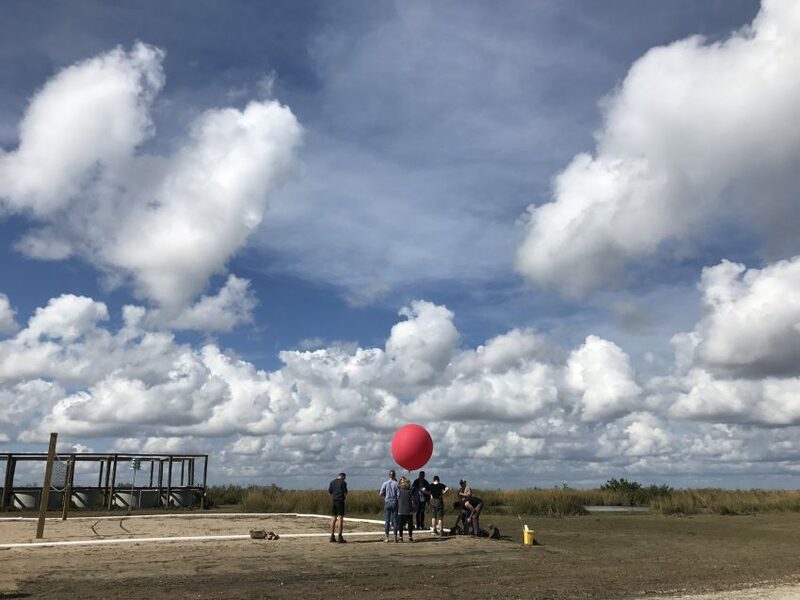 It’s the perfect place for an organization like Public Lab that encourages people to get involved with environmental issues using open source techniques and tools (like balloon mapping). Our days were filled with stories of flooding from locals, discussions of emergency response processes and learning to identify oil sheen from aerial photos. Lightning talks included colorful stories like the invasive water hyacinth and the fashion industry’s contribution to NASA spacesuits. Of course there was plenty of making to be had, whether it be Public Lab’s kits or hacking something new. 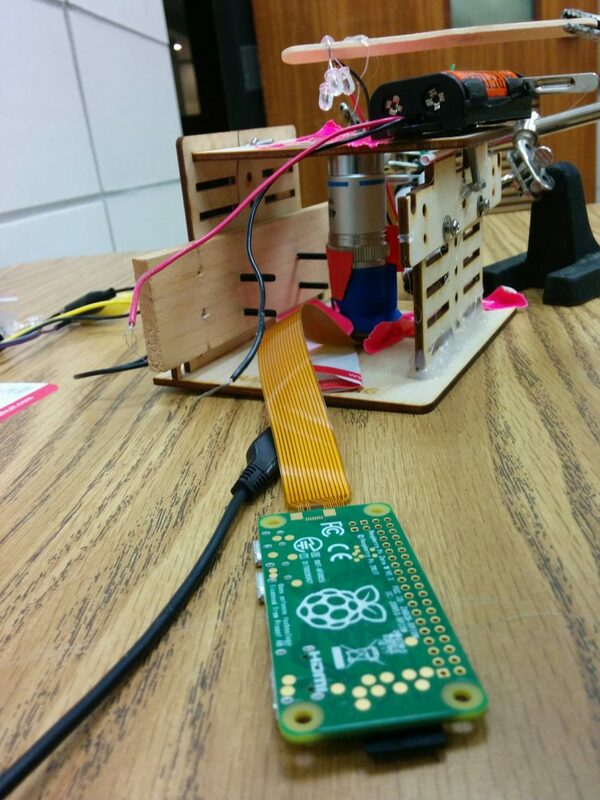 Building DIY microscopes with Raspberry Pi Zero proved to be interesting with a few variations. Some were produced with wooden stands while others opted for Legos. The point was to introduce the different components including light, sample, lens, camera and stand so people could envision their own version of a microscope. 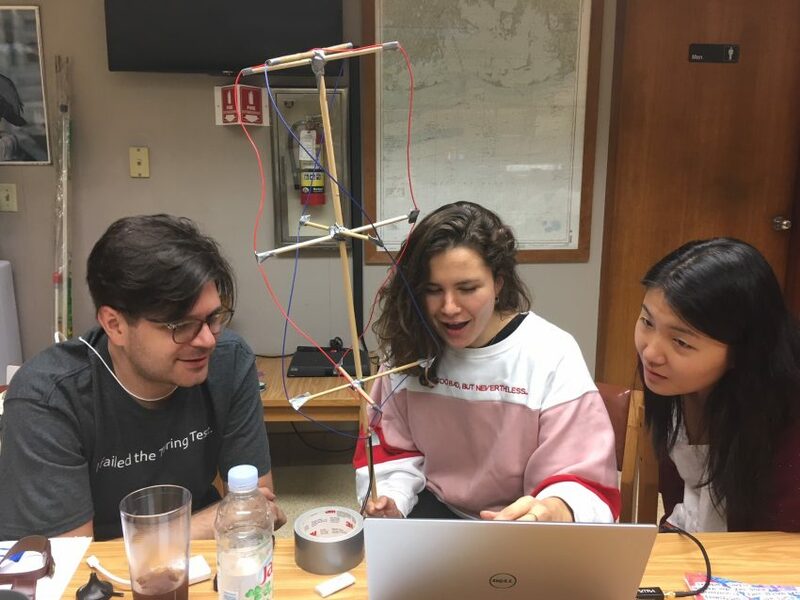 One team hacked together their own QFH Quadrifilar Helix Antenna using dowels, duct tape and wire. This antenna can be used for gathering signals from satellites, which can be viewed on a laptop. There was a lot of excitement as the team picked up some overhead action. 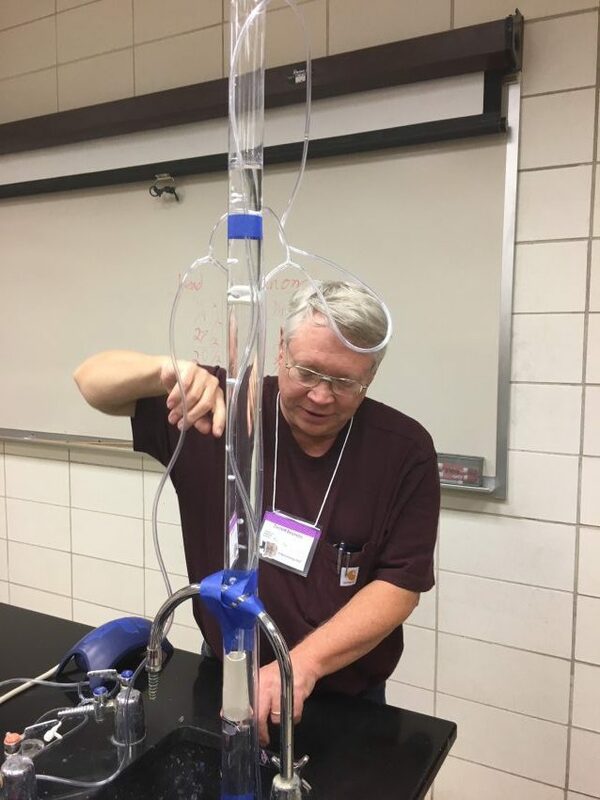 Of course with water being a strong theme, someone decided to create a Manometer in order to measure pressure and determine depth. This was my first time seeing this instrument and it certainly had a ton of tubes. A personal favorite was creating DIY Hydrogen Sulfide sensors. Usually detecting a gas like this can be expensive, but we were taught to use a piece of copper that has been finely sanded and cleaned. I decided to experiment with cardboard and copper tape to make a more whimsical shape. 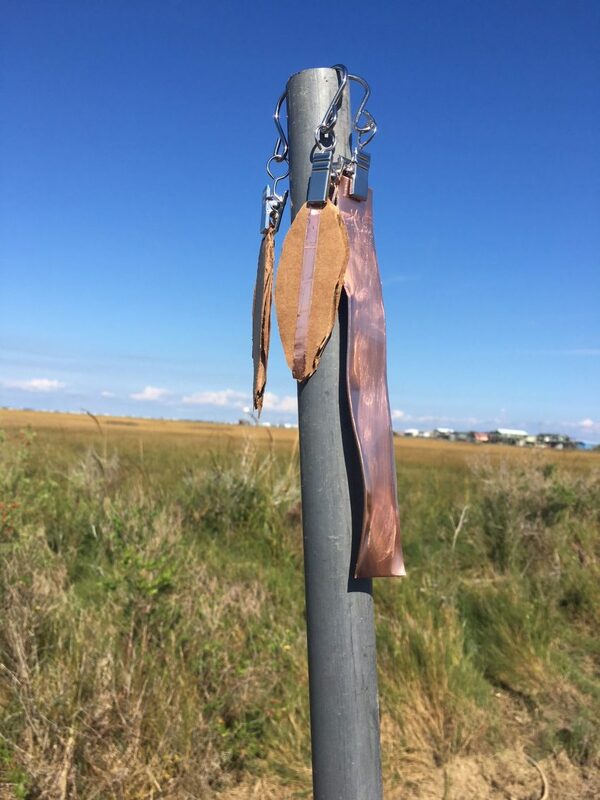 Exposing the copper to the gas supposedly makes it change color to dark brown. You can also use silver oxide photo paper in a cannister. It was really fascinating! Sending out a huge thank you to Public Lab and all the great people I met. Can’t wait to create new prototypes.